In order to help you keep everything in one place, HoneyBook allows you to email your clients directly through a HoneyBook Project (instead of needing to bounce between us and your email)—and you can do so through the iOS and Android app as well! 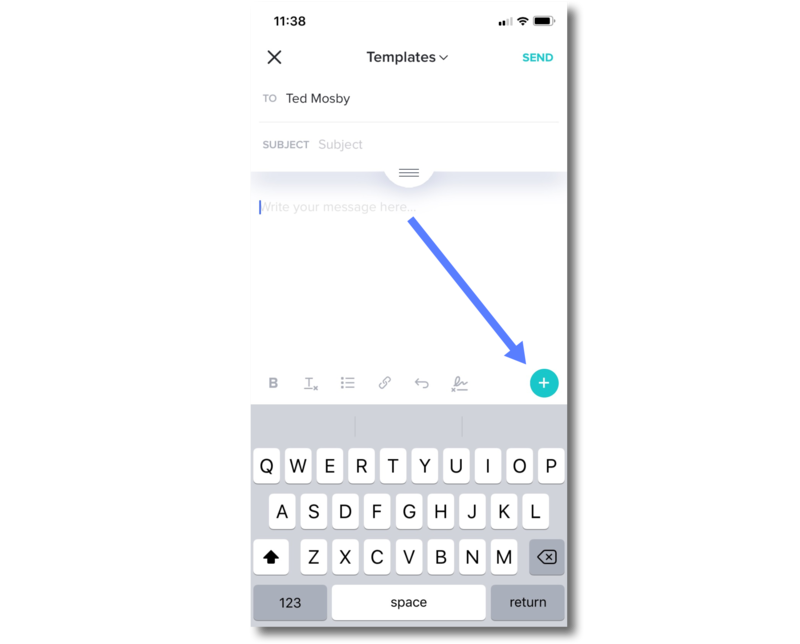 You can even attach images, PDFs, or supported HoneyBook files to your messages. Learn more about sending emails or attaching PDFs and other files via desktop! PLEASE NOTE: Emails you send through a Project will go to all participants associated with that particular Workspace. 1. 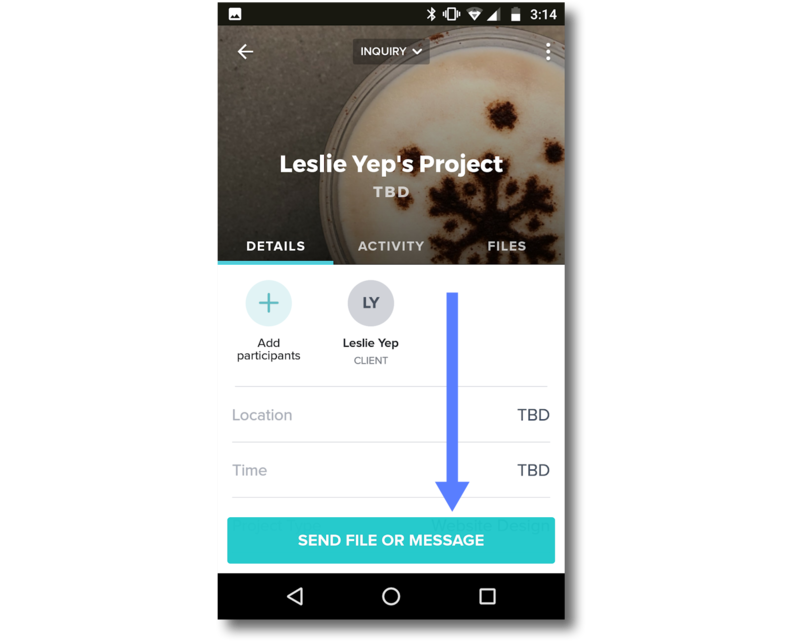 Find or create the Project that requires an email or file to be sent, as both emails and files need to be associated with existing Projects. 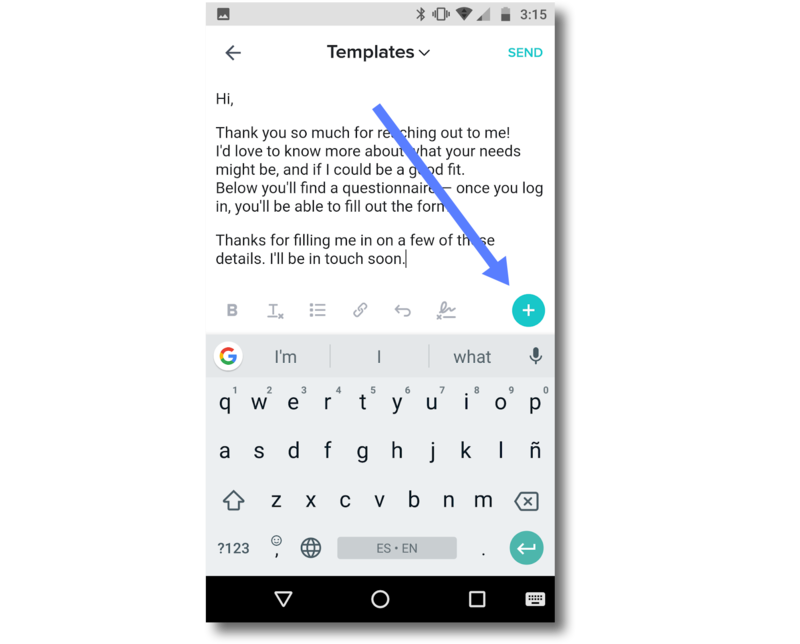 Find a Project: search via the search icon at the top of your app's Home screen (Pipeline view), or locate the Project from the Project List in your Pipeline. Create a Project: learn how here! 2. 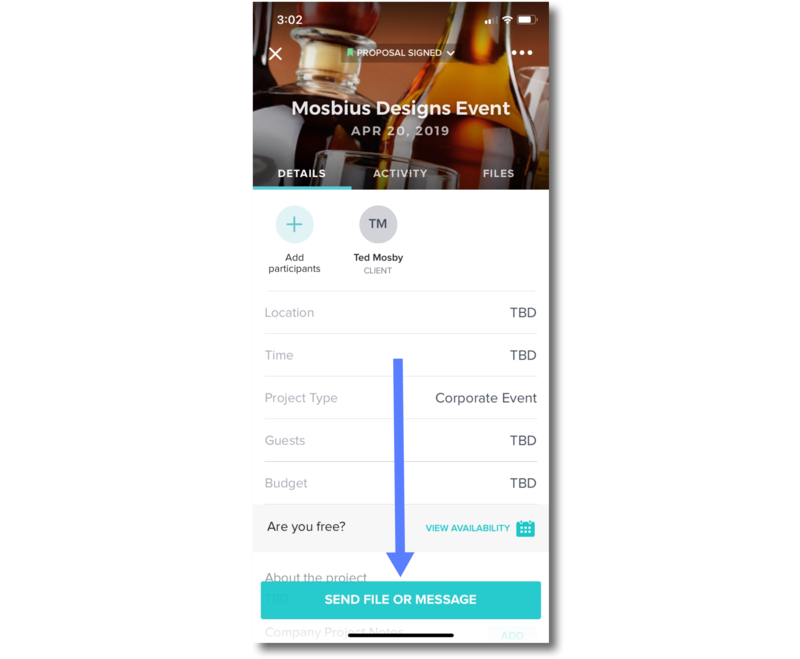 Once in the Project, you can tap Send File or Message from the Details or Files tabs, or tap the message box in the Activity tab. This will open the email editor. 3. Enter your email subject line. 4. 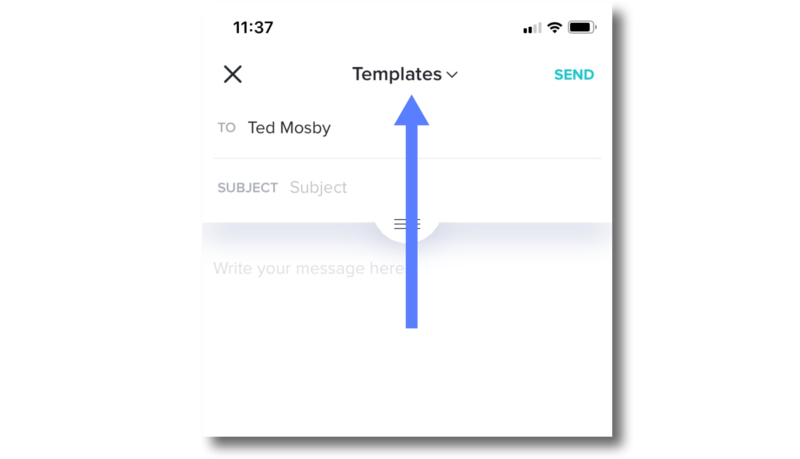 Tap the body field to enter new text into the email, or select the Templates menu at the top of the screen to choose from your existing email Templates. 5. 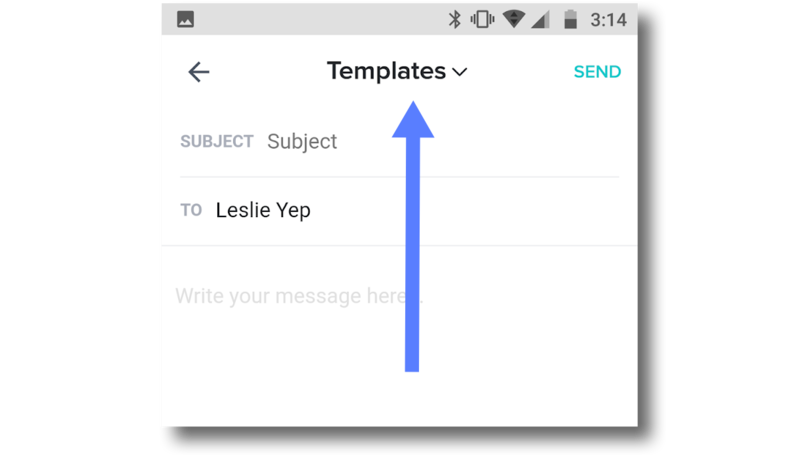 To add an attachment or a file, tap the body of the email again to reveal the keyboard and options bar, then tap the plus (+) button. PLEASE NOTE: At the moment, the only HoneyBook files you can send through the iOS app are Invoices, Questionnaires, & Brochures. We’re hoping to expand this functionality in the future! 6. When you’re ready, tap Send. PLEASE NOTE: At the moment, the only HoneyBook files you can send through the Android app are Questionnaires & Brochures. We’re hoping to expand this functionality in the future!